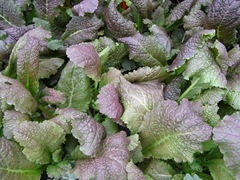 Red Brazen Brass has large reddish-purple leaves with green undersides. The leaves are heavily veined giving it a rough texture. Ornamental Mustard is the up and coming fall companion plant. Don’t think it just has a pretty face, though. 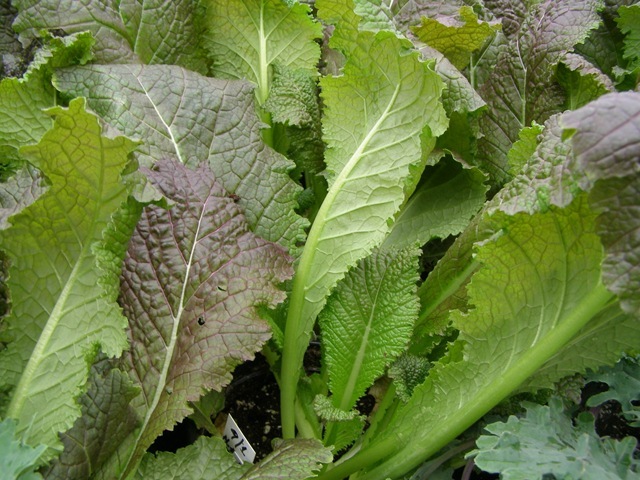 Just like other mustard greens, Red Brazen Brass is edible. You can eat it raw like spinach or lettuce or cook it like kale or chard. The smaller the leaf, the more tender and usually less bitter it is so you may pick these colorful leaves when they are around 2 inches long. Can we get this plant in Washington, D.C. Thanks for contacting us. We do not ship to D.C. I suggest that you contact a local garden center and ask them if they carry these. You can also grow these from seed fairly easily.